MAF Sensor - LS1 3.5"
Mass airflow sensor, 3.5" plastic, replacement for the older aluminum LS1 sensor. For use with the Translator. 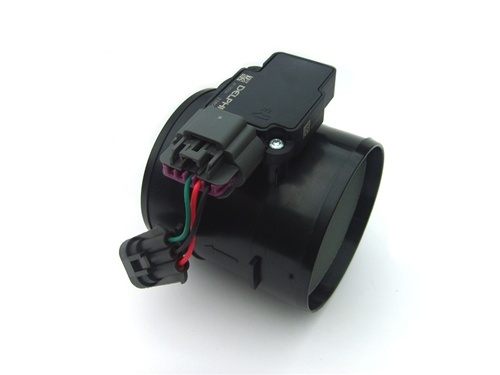 A newer, more reliable, more accurate airflow sensor for your car. You may need an adapter hose to attach it to your existing intake plumbing. This has a 3.5" diameter, so if you have a 3 inch intake pipe, you would need the 3.5" to 3.0" adapter hose. You also may need an air filter with a 3.5" opening to attach to it. This comes with a 3 to 5 wire adapter so it plugs right into the Translator. Adapter hose 3.0" to 3.5"
Copyright © 2004 TurboTweak. All Rights Reserved.